Why Do We Expect a Scorpion Not to Sting? Why do we expect the NFL to care about player safety and the integrity of the game when we know all they really care about is money? Why do we expect a new CMO to only fix what’s broken when we know they’re 100% predisposed to do a flashy branding/rebranding exercise? Why do we forget “The Frog and Scorpion” Tale? Why do we expect politicians to do what’s best for their constituents when we know they’ll always do what’s best for themselves? Why do we expect our favorite team to replace a fired coach with the best candidate when we know they’ll hire the “safest” option who is the most opposite of the last guy? Why do we believe TV networks will obey the “commercials will never be louder than the program” regulations? Why do we expect business leaders to really lead with the long term in mind when we know they’ll mortgage the future to make the number this quarter? 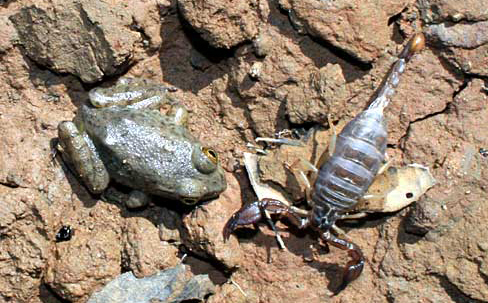 Why do we expect that this particular scorpion won’t sting that innocent, unlucky “target”? Previous PostPrevious So what’s the worst that could happen?